It seems clear now there will be a general election in 2019. Voters will go to the polls in May to select a new batch of councillors and MEPs – but the parties are starting to look beyond that to a late summer or early autumn general election. Senior figures in both Fine Gael and Fianna Fáil now privately accept that the Confidence and Supply arrangement is on life support. The debacle over the National Children’s Hospital has struck a blow from which it can’t recover. But there is also an understanding that the plug can’t be pulled until Brexit is resolved. We should be grateful that our politicians have managed to come together in the national interest when it comes to Brexit. The chaos and anarchy in Westminster shows that this shouldn’t be taken for granted. However, the pent-up frustration being felt in the parties is palpable, particularly within Fianna Fáil. Micheál Martin faces a challenge to keep the lid on things for a few more months. He may not be a fan of ‘Punch and Judy’ politics – but much of his frontbench is. Barry Cowen, Robert Troy and Niall Collins are among those who love sticking it to Fine Gael and Sinn Féin. Mr Cowen said in recent weeks that this Government would be gone if it wasn’t for the uncertainty over Brexit. He then took John McGuinness to task at a party meeting for straying from that line. Tensions are high. At the All-Island Civic Dialogue on Brexit last Friday, Mr Martin told a gathering of political and business leaders that his party is being “criticised on a near daily basis” for propping up Fine Gael. What he didn’t mention was that much of that disapproval is coming from the Fianna Fáil membership. That was certainly the experience of the candidates who put their names forward to be the party’s Dublin candidate in the European election. Having spent weeks phoning individual members seeking their vote, they are probably better placed than anybody to assess the mood. Conor Lenihan told the ‘Floating Voter’ podcast that at least one in four was “very angry and annoyed” about Confidence and Supply. Mary Hanafin said it was good that TDs were involved in robust exchanges over it because members needed to see it wasn’t a decision taken lightly. And Barry Andrews, who won the nomination, predicted that “serious questions” will have to asked about whether negotiations on another budget should even take place. Having just returned to the upper echelons of the party with his nomination, Mr Andrews is unlikely to be stirring trouble for the leadership without good reason. One thing that was obvious from the crowd gathered at the convention is that Fianna Fáil is no longer fearful of an election. 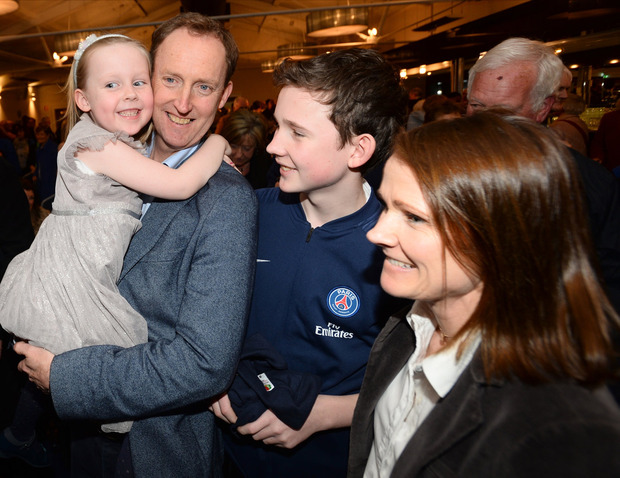 For a long time it has been assumed that Fine Gael was far more enthusiastic about an election. However, that’s all changed. Taoiseach Leo Varadkar had an election strategy etched out which would focus heavily on the management of the economy. Since 2011 Ireland has gone from our own cliff-edge to mountain top. But the controversy over the National Children’s Hospital has undermined the ‘prudence’ tagline. Gaffes such as the Taoiseach’s comments about reducing his meat intake at a time of great worry for the beef industry also show that Mr Varadkar’s machine is far from infallible. The so-called ‘Leo Leap’ enjoyed by Fine Gael in the polls has also eased, although it would be wrong to say it has evaporated altogether. Meanwhile, it’s safe to assume Sinn Féin is always looking for an election. So it’s coming, sooner rather than later. And in all likelihood Micheál Martin will fire the first shots at his party’s Ard Fheis this weekend.